It's taken nearly 20 years but you're finally touring Australia. I know. But don't take it personally, because I've never played Wales either. At least you've got a geographic excuse for not coming to Australia, poor Wales. Yes. Though I do have a house in the country just outside of Wales, so maybe they could hear me if I really turned everything up loud. You've got a new band, United Nations of Sound, and Australia is one of the first places you'll play the new album Redemption. I never intended coming over there playing 10 songs nobody knows, but I'll be promoting the new album. And I'll be playing some of the strongest songs Ive ever written. So there's the two extremes, me stripped bare and going through the gears as well its a pretty powerful band when its in full flight. Lets cut to the chase, will you be playing any Verve songs in Australia? Totally, cos I wrote em. You'll hear any song I wrote. Anyone old enough to have album artwork, just look in the booklet and if it says my name under the song there's a potential I may sing it. I'm a firm believer the concert is the moment to either escape for a short time, be moved, be taken away, or celebrate your life for a short time. You've paid good money, you've got a pretty unfulfilling job and you shouldn't have to wonder if the songwriters going to play one of his better tunes. I remember my mum coming back from seeing Neil Young when I was a boy, he was in his vocoder period. I'll never forget her disappointment he'd done the whole show with a vocoder. I promise people in Australia I won't make them wait that long to see me and not do some of my biggest songs. So, Bitter Sweet Symphony. Coldplay called it one of the best songs ever written. Bitter Sweet Symphony is one of the greatest pieces of modern art created by anyone. I'm not blowing my own trumpet here. (The Who's) Pete Townshend always used to big up music in its importance. Not my importance, or my ego, but as a piece of art, with the sentiment of the lyric, with the story of the piece of art, and the ownership of the piece of art, and the abuse of the piece of art, its a modern piece of pop art. I'm really proud of it. It's interesting when you strip it down, take all the tracks off and hear it in its core. Bitter Sweet Symphony is one of the biggest hip-hop records of all time once you actually analyse it. Lets talk about the new band, a lot of them come from hip-hop backgrounds in the US. I've been trying to head for this sound for years, find a group of players who can make music that combines the roots of music but also push music somewhere new. But that's very different, the source materials you use are always so similar, guitars and beats. In this band weve got a common thread between us even though we come from different musical genres. We're sick of genre. We're sick of nu soul you've either got soul or you haven't. Its something Ive been working on for a long time with my own music. I've worked with Unkle and DJ Shadow, but as a band we all share something, this project means something beyond just doing a project. We want to do something here. Can you confirm whether The Verve have split or are on hiatus? I can confirm we did what we set out to do, which is unusual for bands coming back, by making a new album (2008's Forth) and doing some gigs. We took it that far. Right now there are no plans to be doing anything in the near future. 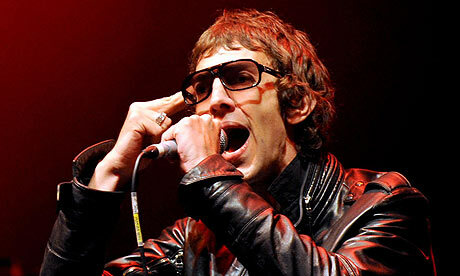 Is there any Verve material left in the vaults? With the Verve there's always stuff left over. That's how wed get ideas, simply playing for a long time. Whether that will come out or not I don't know. I've always admired the way The Beatles stuff has come out. In this day and age people are so hungry and record companies in their desperation feel they have to feed them. Look at The Beatles blueprint, they've always been very clever in the way they've held on to their history. You'll always see them coming out just at the right time. Most people from my generation are always too willing or too quick to package stuff up, they never give it any sense of history. 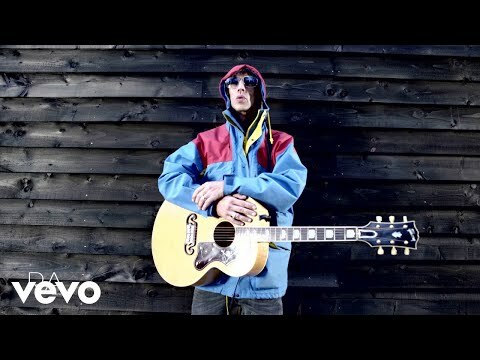 The Verve's 1997 album Urban Hymns continues to be discovered by new people each year. That must be rewarding. I'm a blessed man. Ive been involved in and written songs that have this timeless quality. It doesn't matter how fashion or politics changes, you'll never change a classic song. A classic song is timeless. You'll never outlive a classic song. I'll never put The Beatles In My Life on one day and say, 'That doesnt move me any more'. That's the beauty of music. To be involved in music that has that effect on other people is unbelievable. That's what you aim for as a kid, the idea a kid would have a light turned on just because of one of your pieces of music. Once the numbers start growing you just keep going for yourself, its more selfish. Seemingly the more selfish your artistry then the more people appreciate it. You're friends with Noel and Liam Gallagher what was your take on the Oasis split? I was sad like any fan of a band. I like bands I like to carry on. I'm also a realist as well, I realised long ago its a very unnatural process being in a band. They make shows about people being in a room together, its called Big Brother. They're not stuck on a bus with all the transitions and layers and people you bring to the circle. I know it all. So Im not surprised. But I'm also positive about what effect itll have on them individually. They can both go off and do their own thing. And unfortunately always be asked about each other in each others interviews, that's life. Just as you'll be asked about The Verve in your interviews.